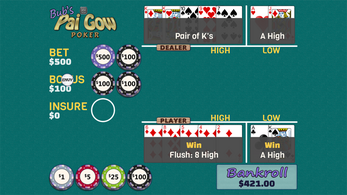 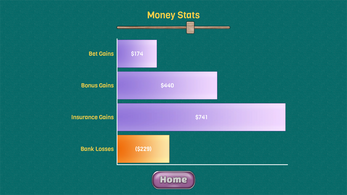 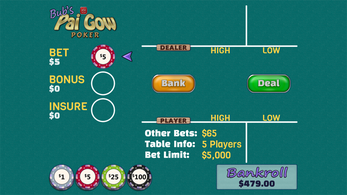 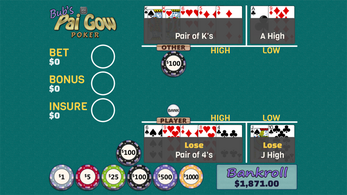 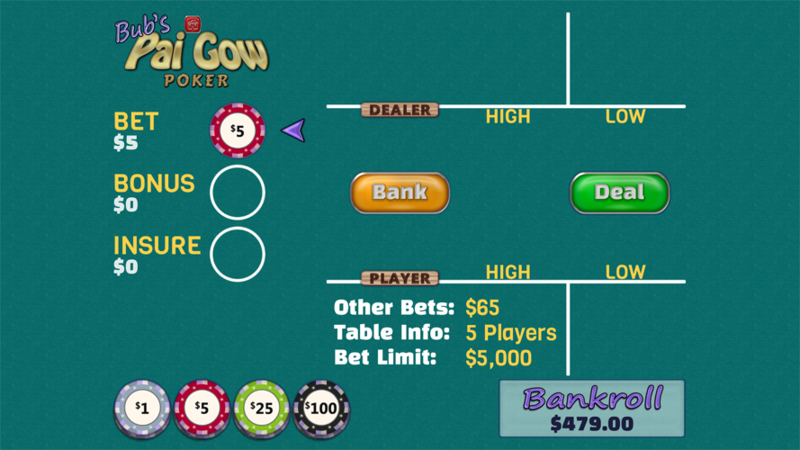 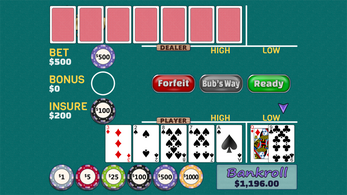 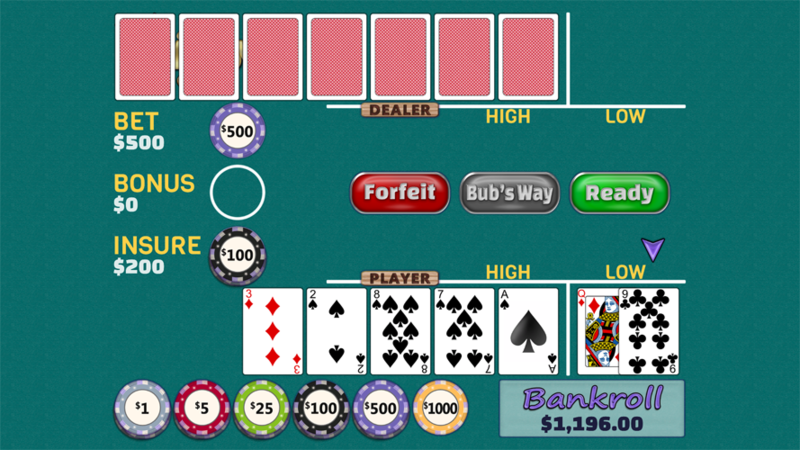 A true-to-life pai gow poker simulation, developed by a former Las Vegas casino dealer. Test your skills at Bub's House without risking your wallet! 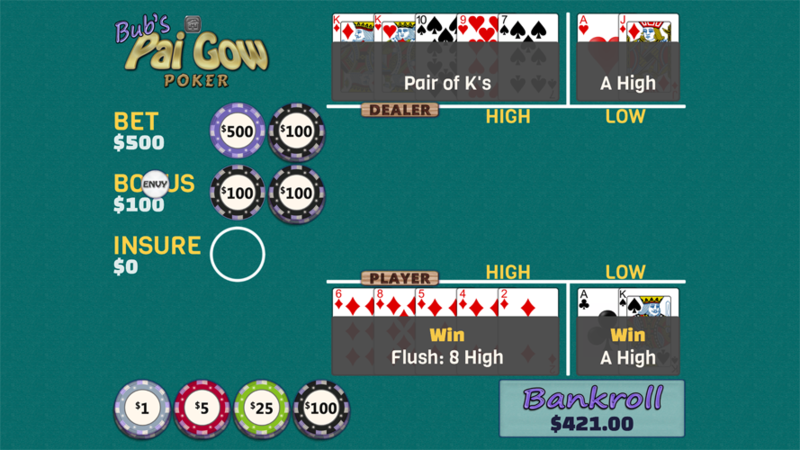 Support, updates, and new sales have been discontinued. The Bonus payout will now pay on the highest return instead of the highest hand. 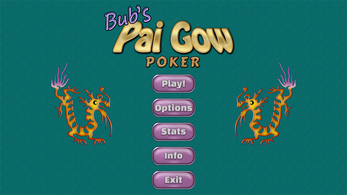 Download the file and double-click to start the installation. 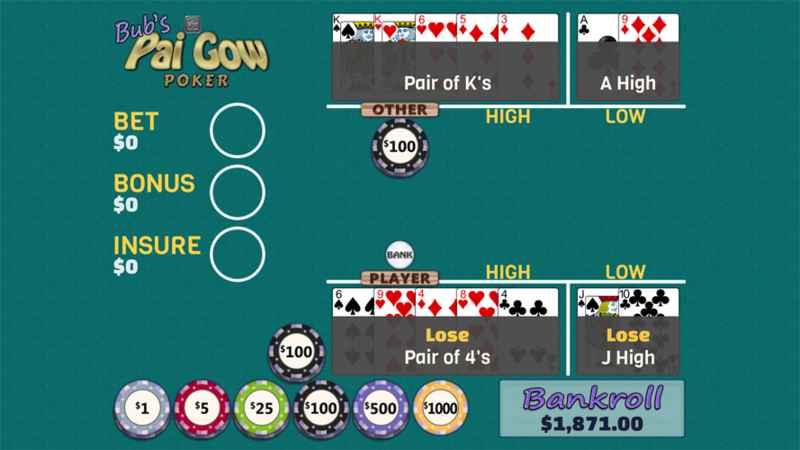 Copyright © 2017 JL Evans.